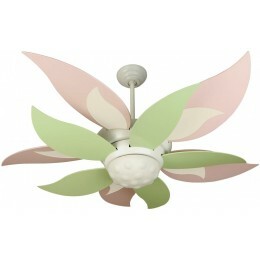 DIMENSIONS: 17.25" from Ceiling to Bottom of Light (with 6" Downrod Included); Weight 38.88 lbs. 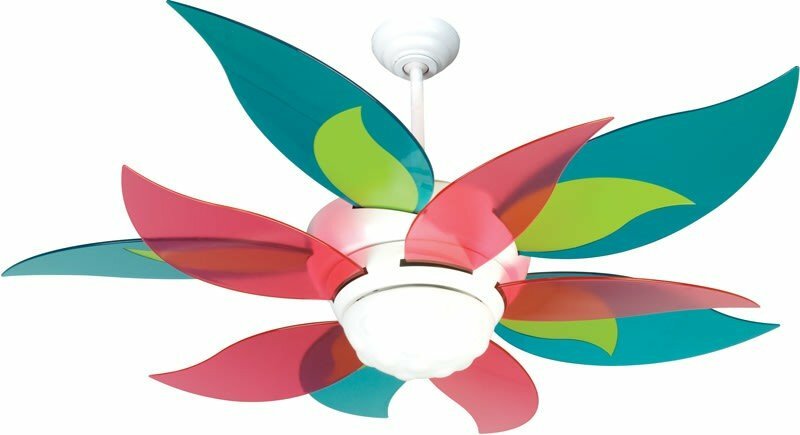 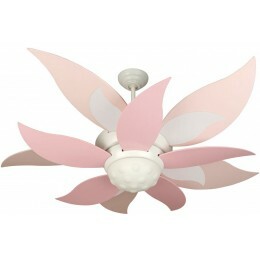 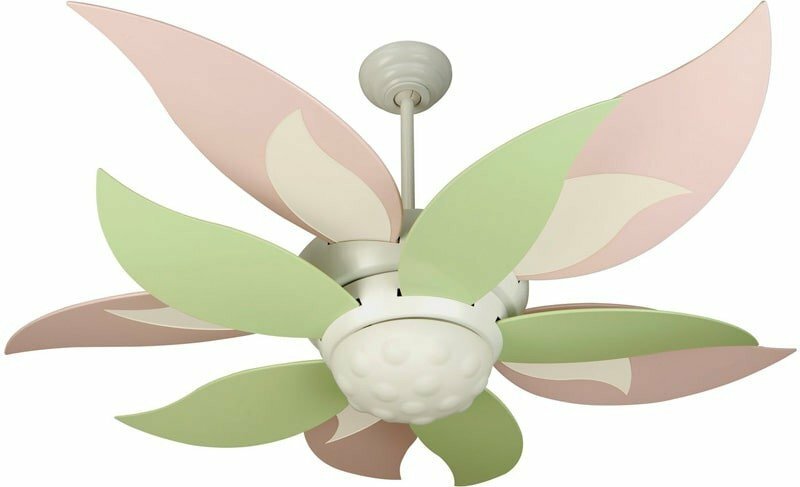 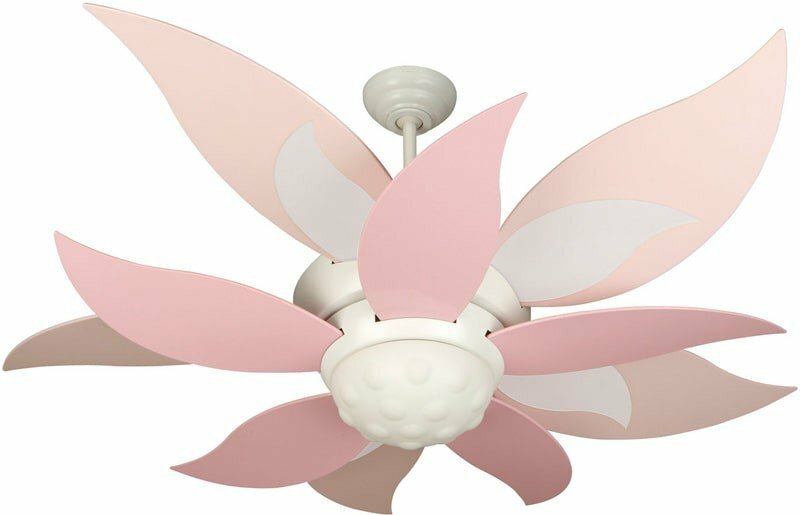 Whimsical and endearing, the Bloom 52" ceiling fan will inspire her to blossom. 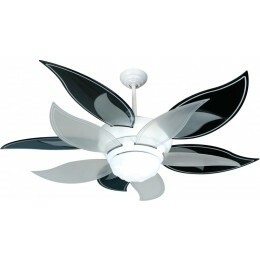 The captivating upper and lower blades rotate independently. 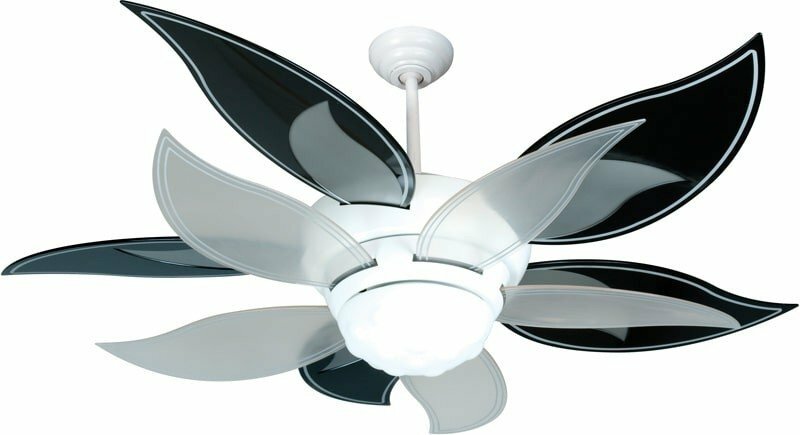 At 52" in diameter, the silent 3-speed reversible motor and glowing integrated light add even more charm. 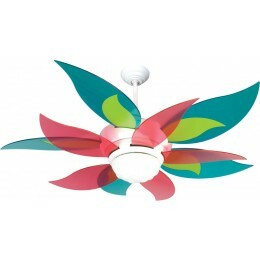 Plus, with the Intelligent Control System (ICS) remote control, this fan can grow right along with her.